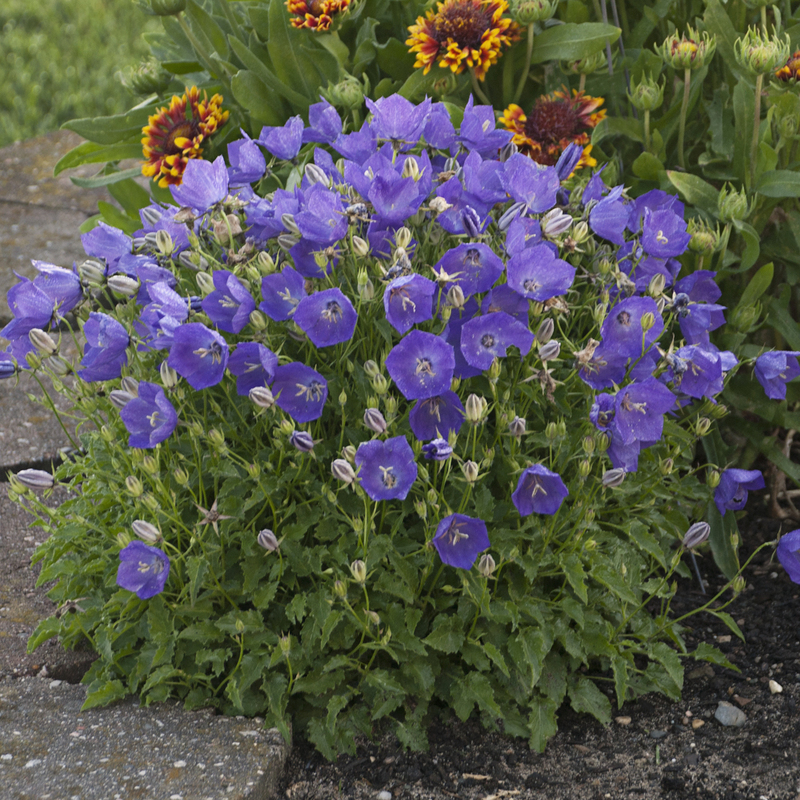 Campanula carpatica 'Pearl Deep Blue. 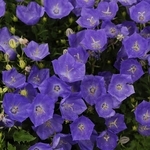 A profusion of cup-shaped, upward-facing, 2 inch wide, vivid blue-violet flowers with lighter centers float above the mound of dark green foliage from late spring to late summer if deadheaded regularly. 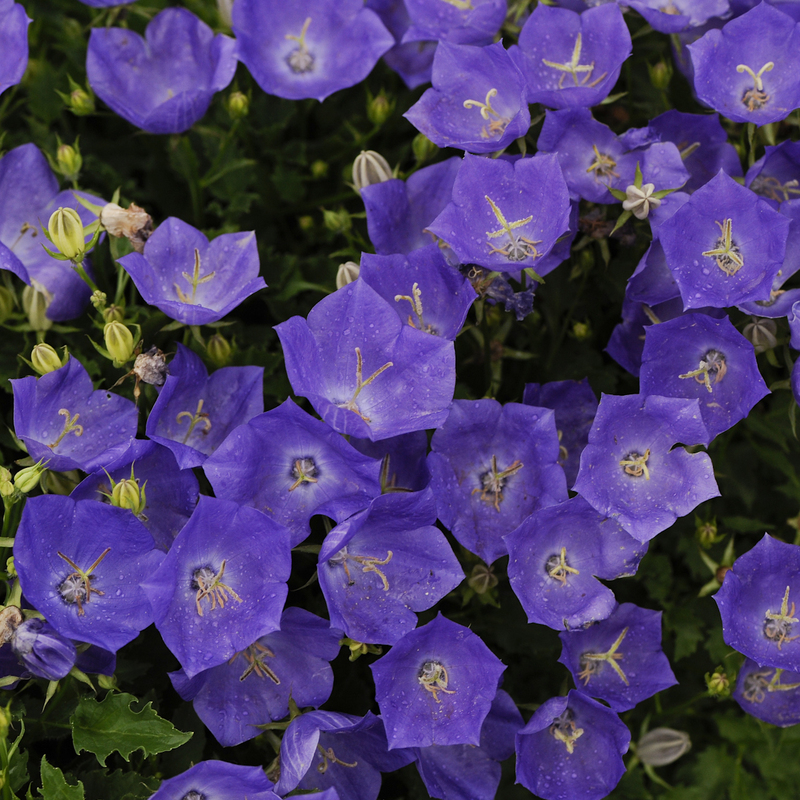 Forms compact, uniform clumps. Tolerates a wide range of conditions and grows quickly as long as good drainage is provided; performs poorly in very dry or wet soils.